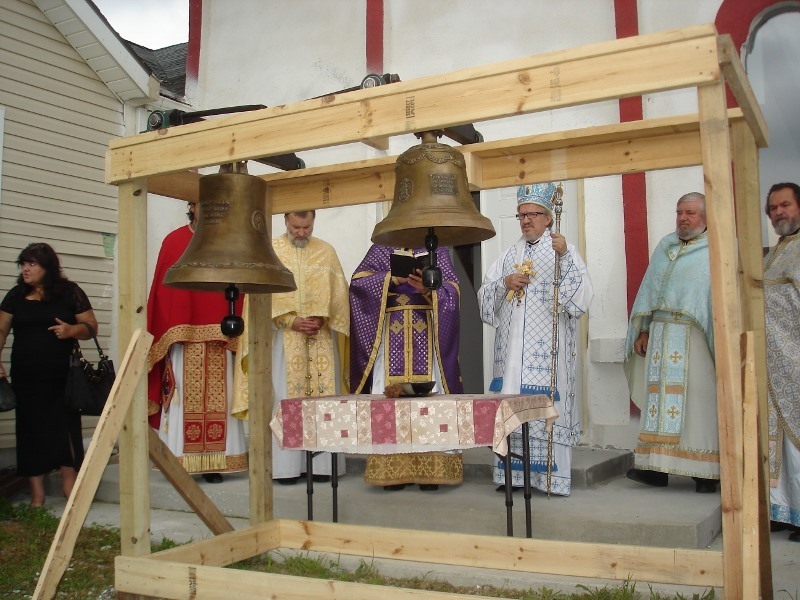 China, Michigan - On the Feast Day of Holy Martyr Procopius, the Slava of his church at the monastery of St. Nikolaj of Zicha in China Michigan, His Grace Bishop Mitrofan of East American Diocese consecrated new bells of the church. They are a gift from Mr. Jankovic Cvetan from Indjija, Serbia. 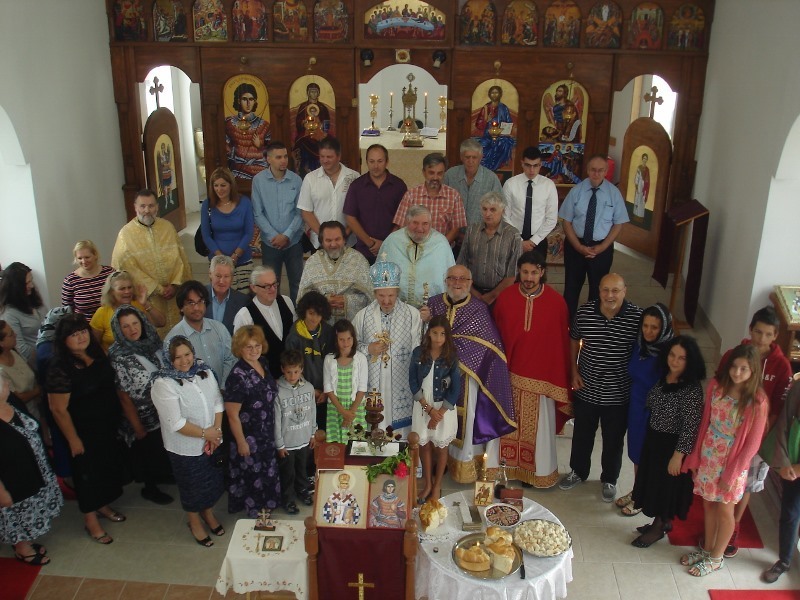 In an inspired homily, Bishop Mitrofan spoke of bells' great significance in our Church. He then thanked the numerous donors, who helped in building this monastery from a vacant farm. He spoke especially warmly of the builder and founder (задужбинар) Father Radisa Ninkovic and his family, who have dedicated last nine years to building this monastery and who were helped by a dedicated number of Serbs and Americans, who helped financially and physically. After the Liturgy and Consecration, a table of love was prepared for the guests. 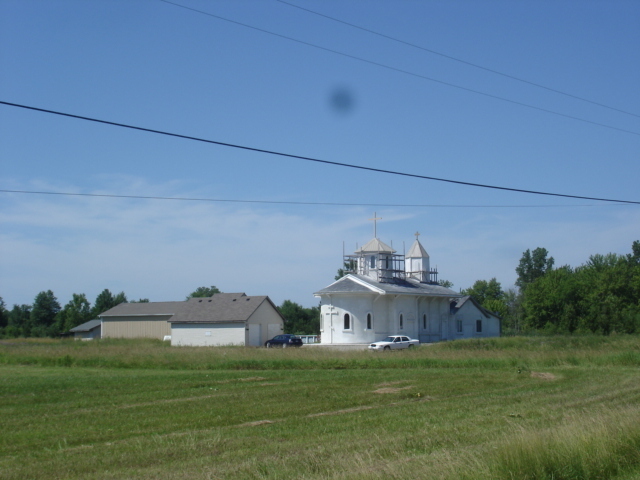 The monastery is located about thirty miles north of Detroit. With the blessing of Bishop Longin, the Liturgy and other church services have been celebrated here for quite a few years. Permission has been obtained from local authorities to build a cemetery on the monastery property. It would be the first Serbian Cemetery in this part of United States and Canada. 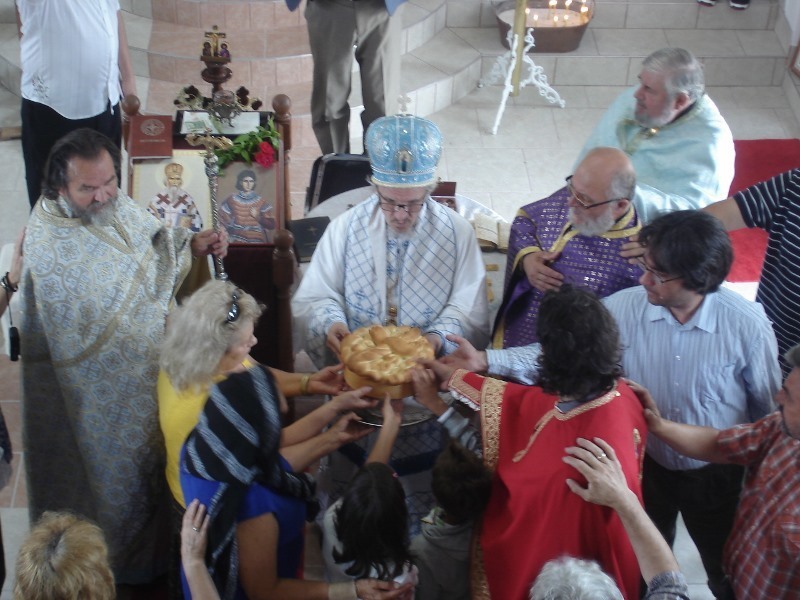 The official opening and Consecration of the monastery complex will be officiated by His Grace Bishop Longin of New Gracanica and Midwestern America on October 25, 2014. All are welcome.